It's all been a learning curve for the older two, they already knew how to be siblings, but they had to learn a new place in the family and a new element to their role when their baby sister came along. And both of them have flourished. Dylan is just the proudest big brother. He loves telling people that Everly and Ashlyn are his little sisters. He will admire people's babies and coo and make a real fuss of them before quietly telling me that he still likes Ashlyn the best of all the babies. And Everly is quite simply his partner in crime in every sense of the word. Everly is every inch the mini-mummy that I always suspected that she would be. She totally dotes on Ashlyn. She can be loud and in her face at times, not that her little sis seems to mind in the slightest. And she has clearly watched her big bro, she's learned what being a big sibling is all about from him, and she's taken it all in her stride. And Ashlyn... well, she's never known any different than to have those two filling her days with cuddles and laughter and noise. And she quite simply adores the pair of them. It's written all over her face whenever she looks at them. It's in the big smiles at school pick ups, it's in the giggles when they (quite literally) pile on for cuddles), it's in the hero worship that lights up her face when she sees them doing... well... anything really. While we were taking these photos, Ashlyn got particularly wriggly, and that combined with a big brother who was afraid of hurting her, or being hurt by flailing arms, resulted in her launching face first into the mud. 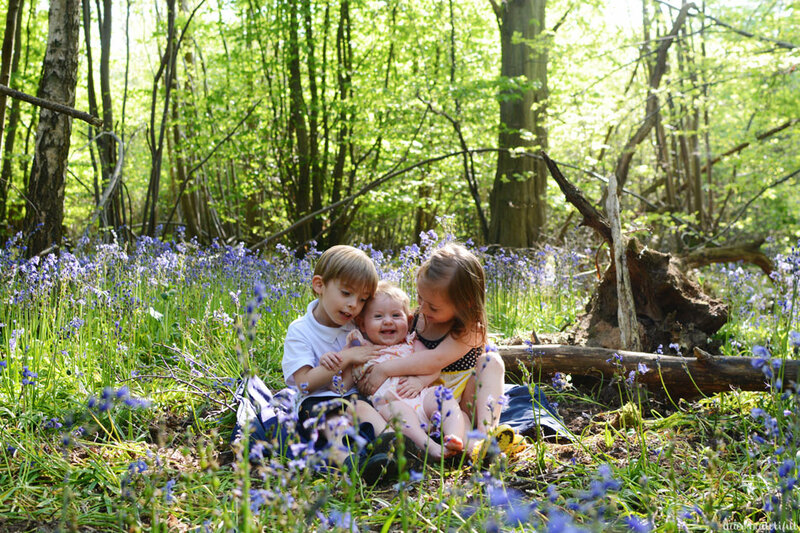 As we swooped in to pick her up and comfort her, two older siblings the image of concern; we turned over a little person covered in mud, twigs in her hair and the biggest smile on her face. Because if she gets to hang out with the two of them, then she's the happiest little girl alive... muddy nose or not. And don't forget that The Siblings Project is also on Instagram at @siblings_project_. 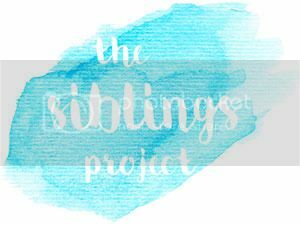 Add #siblingsproject to your photos to join in. We already have quite a gorgeous collection of sibling moments from the community. And finally, if you haven't already voted and are looking for someone to vote for in the Best Baby Blog category in the MAD Blog Awards, then I would absolutely LOVE your vote. We're loving sharing our baby days here and are so thrilled to be a finalist. You can vote by clicking the link below. You can just feel the love shining out of these pictures. Gorgeous photos that tell a story of just how much these three love each other. You are a lucky Mummy! 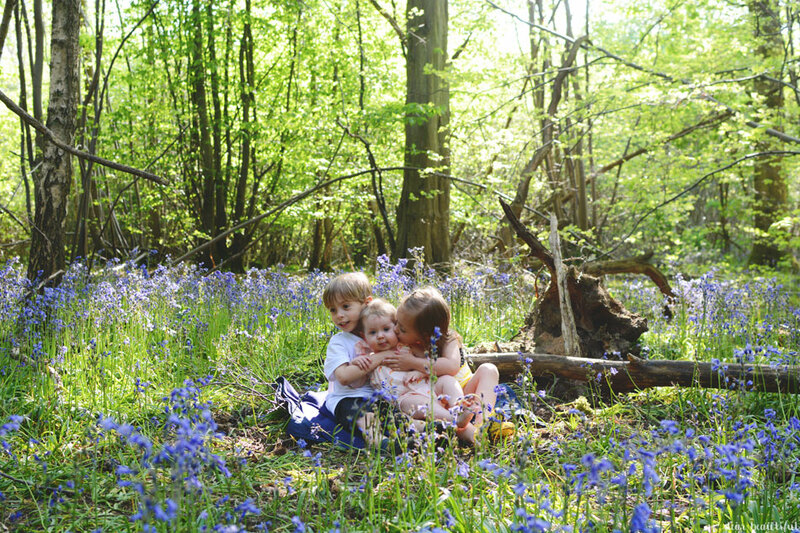 What a beautiful location and sweet cuddles in the bluebells. 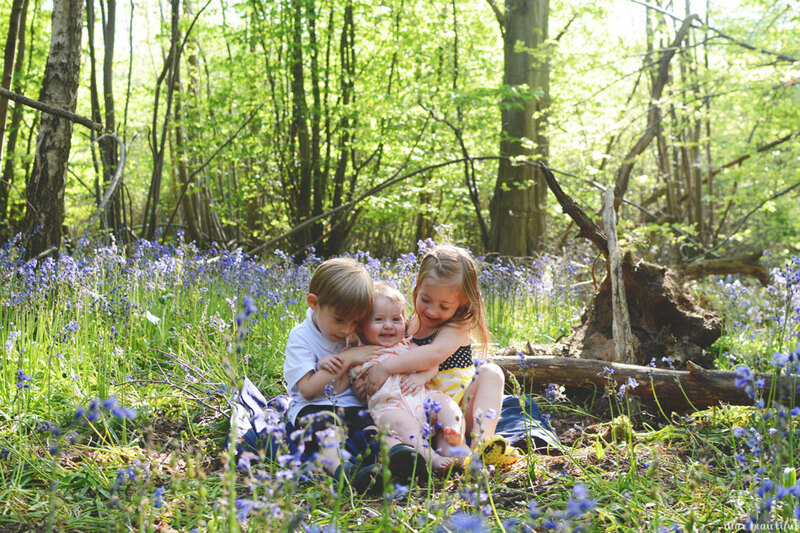 I never can find bluebells around here with enough light to capture the kids in. These are truly beautiful despite a little muddy oops moment. lol I love that last one Lucy, Ashlyn's smile is proof just how amazing and comfortable she feels in her siblings life. They are all looking so grown up. Thanks for hosting. These are gorgeous photos, Bless little Ashlyn in the mud, I think third babies just have to learn to be laid back. 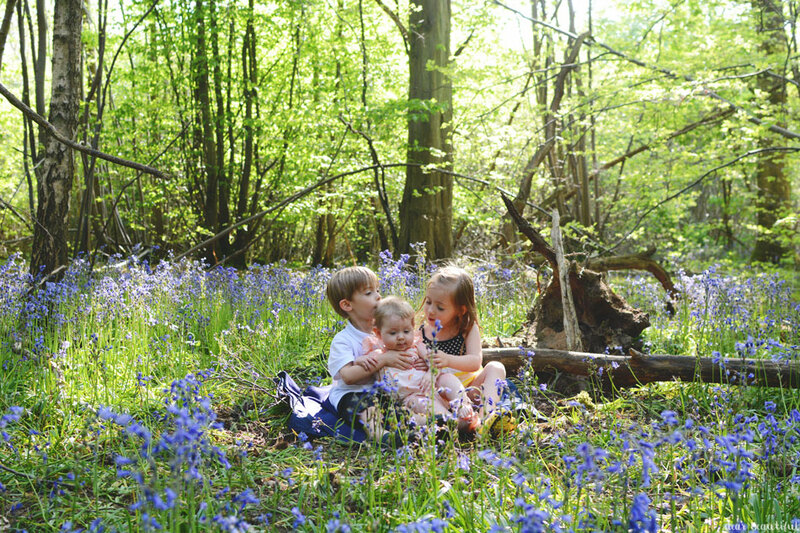 We have been the see the Bluebells at Blickling Estate today, they make a wonderful setting for photos don't they. Gorgeous pictures! What a wonderful setting, and how sweet of your little one to keep smiling even when she was covered in mud! I've said it already, but I'll say it again, that smile! I wish I had my big camera with me when I visited our local bluebell woods, but instead I had a mobile phone with a dead battery. Maybe next year! What a beautiful setting to take those photographs. I love watching mine getting closer, being all girls I'm hoping they remain friends as well as sisters as they grow. I love your outdoor photos so much! Really beautiful! The 3rd child is always the tough one regards falling face first in the mud!